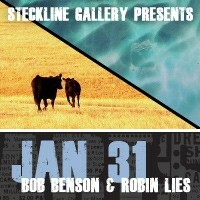 The Newman University Steckline Gallery will present “Kansas: The Lost Art of Looking” by Bob Benson and Robin Lies as the fifth show of its 2013-2014 season. The exhibit of photography by Benson and glass by Lies, which begins with a Final Friday reception from 5 to 7 p.m. on Friday, Jan. 31, will be on display through Feb. 21. Both the reception and admission to the gallery are free and open to the public. An “Art for Lunch” presentation by Benson and Lies will be held Tuesday, Feb. 11 from noon to 1 p.m. in the gallery. A light lunch will be served on a first-come, first-served basis. Guests can also bring their lunch. This event is also free and reservations are not required. A closing reception for this exhibit will take place on Friday, Feb. 21, from 5 to 7 p.m.
“Kansas is a big state with vastly different terrain and a wealth of beauty in 105 diverse counties,” said photographer Bob Benson. “The spectacular canyons and rough country in the west, for example, the rugged Arikaree Breaks in the northwest, and Clark Lake in Bluff Creek Canyon, could just as easily be in Utah or New Mexico. The Gyp Hills and Red Hills compare well with the Flint Hills which, as a large area in east Kansas, contains many different images. Throughout, the history of settlement reflected in historic ranches/farms, towns, and railroads adds to the natural beauty. 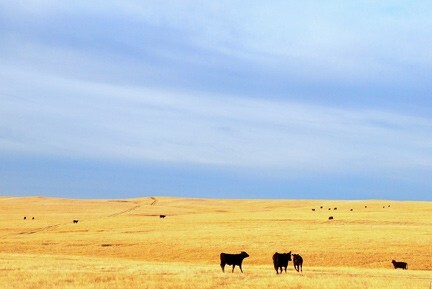 “My photography presents Kansas beauty in uncomplicated images. I portray simple patterns in nature and human artifacts that we all can see for ourselves if only we would look. I strive to give viewers a lens into a scene that they can relate to, can imagine themselves there, and that simplifies the scene for them into its most straightforward essence. “I create images with four themes: 1) wonders of nature; 2) simple human artifacts; 3) ‘straight lines in nature,’ and 4) daily life. These are essentially extensions of the basic theme stated at the beginning: simple patterns in nature and in human artifacts. Most recently my focus is on the themes ‘Kansas !’ and ‘Kansas the Beautiful !’ emphasizing the simple patterns found in Kansas beauty. “When I was asked to do this show with Bob and his title was ‘Kansas, The Lost Art of Looking,’ it gave me a new challenge to explore,” said glass artist Robin Lies. 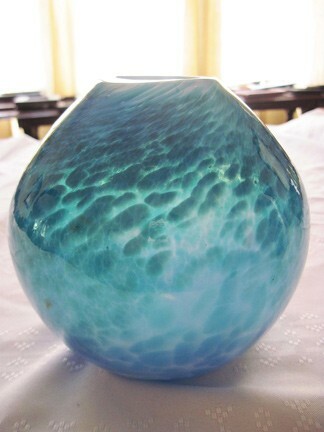 “How am I to fit glassblowing into the theme of this show? And then my inspiration hit. I will create my own illustrations of Kansas – in three dimensions, in glass. What an opportunity – to visualize the mystic beauty of the Flint Hills-and ‘paint’ them with an abstract interpretation in glass. The Steckline Gallery is located inside the De Mattias Fine Arts Center on the Newman campus, 3100 McCormick. The gallery is open Monday through Friday from 9 a.m. to 4 p.m., or by appointment. For more information, call 316-942-4291, ext. 2199. Due to inclement weather, the “Art for Lunch” presentation will be held from noon to 1 p.m. on Tuesday, Feb. 11. Information on the closing reception for this exhibit was added to the article.